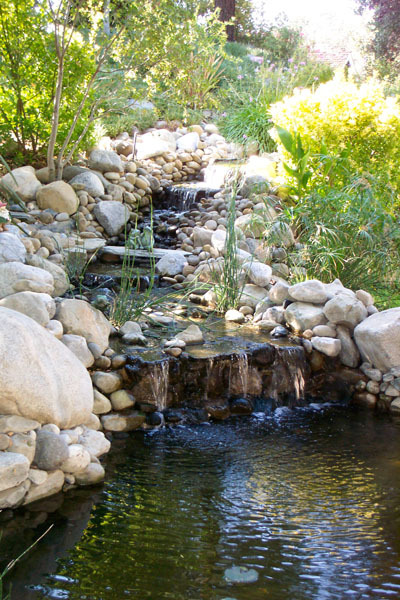 It is no secret that having a pond can bring tranquility to any area. What many people find surprising is that having their own pond filled with beautiful pond plants and Koi can have a very real impact on their health. Although stress is normal, too much of it can lead to health problems. It also interferes with leading a happy life. 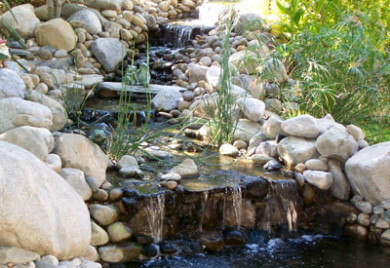 A water garden is the perfect solution to help you sit back and unwind from the chaos of the day.After dealing with a stressful afternoon, even the most common sounds can become nervewracking.With a water garden, these stressful noises are quietly replaced with the soothing sound of running water. Many people find that Koi —- add to the aesthetics of their pond and create a new relaxing focal point in the yard. There are numerous health benefits that can be gained from owning a fish pond. If you are creating a new water feature, or you would like to add Koi fish to an existing pond, you will need to make sure that you have the right fish pond supplies. There are many options available when looking for different types of Koi for sale. For fish pond supplies, it is a good idea to find a pond supply store that can help with planning and construction. They will be able to guide and help you find all of the supplies you need to start and maintain a pond. It is always a good idea to get expert advice on pond filtration and algae control. This will help keep the ideal environment for fish and plants. While some climates are better to support the life in Koi ponds than others, these are hardy fish that can easily survive lower temperatures when special care is taken to prevent freezing of the water. Learn what special care is needed for any of the critters or plants that will be exposed to cold winter temperatures in order to sustain a healthy, beautiful pond year-round. There are a number of items needed to keep your pond in top shape. Pond filters, liners, pumps, clarifiers, aquatic plants and Koi food are just a few of the things you will need. In addition to Koi, there are other critters that can be included such as albino catfish, bullfrogs and turtles. The more diversity that is added to the pond, the more peaceful and stress reducing it will be. Some people not only feel relaxed while spending time watching Koi, they even feel rejuvenated or more spiritual. Many Koi pond owners feel that they are more capable of handling stress when they spend time relaxing near their pond each day. Health benefits that come from owning a Koi pond include a reduction in blood pressure and improvements in anxiety disorders. Some individuals with heart disorders have also shown an improvement that physicians believe is a direct result of a reduction in stress levels. By installing a pond in the backyard, you will find that it will serve a variety of purposes and will become a backyard haven enjoyed by every member of the household. So go ahead relax, have some wine and listen to the soothing sounds of nature right in your own back yard. 2 Responses to "Benefits to Your Health and Stress Relief from Ponds"
Thank you for the information regarding the benefits of having a pond in the backyard, and how it can improve the health of those who use it. I found it interesting when you said that ponds can reduce stress levels, and can become a haven where people can go to relax and listen to the soothing sounds of the water. By having a place where people can go and relax, it makes for a more peaceful household, and a improvements in health. I’ve been looking into getting a koi pond installed in my yard. I liked how you pointed out that owning a koi pond can help improve things like blood pressure and stress levels. I’ll definitely look into what components are needed to keep a koi pond in good shape before installing one.